When you buy a FM2 Coir Bird Tree online from Temple & Webster in Australia, we make it as easy as possible for you to find out when your product will be delivered to your home in Melbourne, Sydney or any major city. You can check on a delivery estimate for the Solemate Door Mats Part #: 23-7438 here. 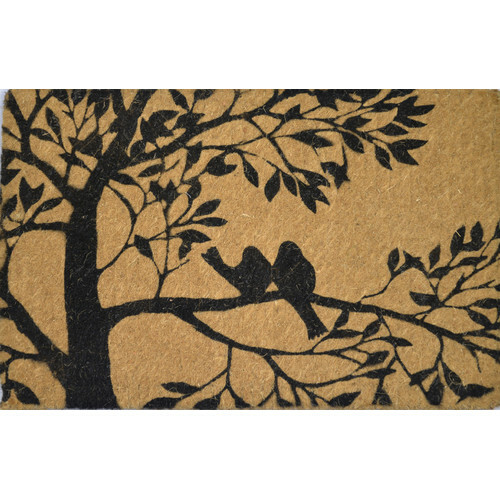 If you have any questions about your purchase or any other Doormats product for sale our customer service representatives are available to help.Whether you just want to buy a FM2 Coir Bird Tree or shop for your entire home, Temple & Webster has a zillion things home. Good sturdy door mat that looks much nicer that regular door mats. Bigger size that standard door mats which also looks goods. We were extremely happy with these mats when they arrived and were set to order a few more however even in a shaded location they are quickly fading and the material sheds consequently ending up in my entry way.